In April 2013 local authorities took over public health responsibilities, welcoming the role and celebrating that public health was ‘coming home’. And indeed it was. Public health has never been just about health care nor is it just about public health professionals. We know that increasing rates of physical activity, stopping smoking, and reducing alcohol consumption all have important parts to play in improving physical and mental health, but public health professionals cannot overcome these issues on their own. The determinants of healthy behaviours and systems that support healthy living and good mental health rest with a host of sectors, providers and policies outside the traditional health sector. And many of these are in the remit of local government. 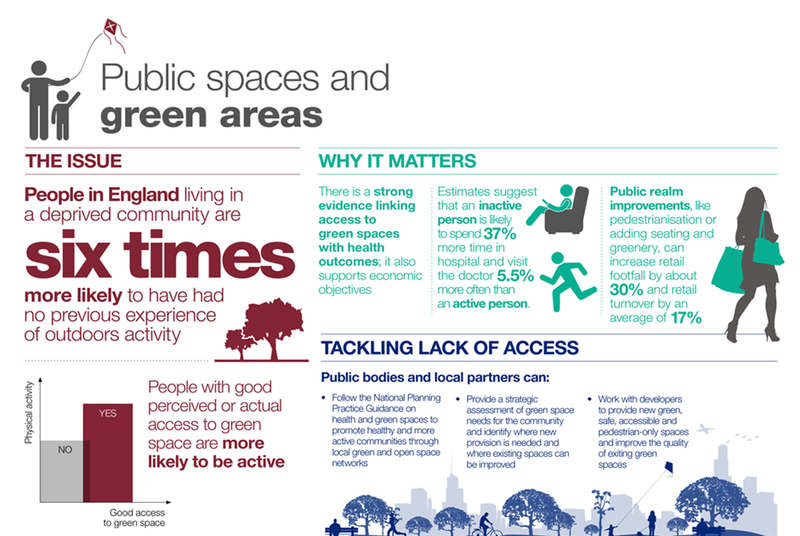 We've published materials and guidance on an approach for local authorities and their partners to help make the most of all they do for local places and people to enhance health. This is called ‘Health in All Policies’ (HIAP). It’s an approach to health that harnesses the powers and impacts of a range of sectors for better health. In their HIAP Framework for Country Action the WHO defines it as “An approach to public policies across sectors that systematically takes into account the health implications of decisions, seeks synergies, and avoids harmful health impacts in order to improve population health and health equity”. Their approach builds on lessons and experience from as far afield as Finland, South Australia and Seattle. The HIAP approach can focus on specific public health issues, like obesity or mental wellbeing for instance, and identify policies with major impact on the issue. Alternatively it can focus on a key policy area with significant health impacts - for instance transport or housing - and work with relevant departments and sectors. HIAP can create the potential to take actions that provide success for other partners but can also improve health as well such as policies to help more people with long term health conditions into work, with benefits for individuals, employers and the economy at large. It’s not just about looking at the health impacts of specific (non-health) policies or programmes, but includes that. It is not just about HIA, but HIA is an important component. HIAP seeks also to find the ‘win-wins’ where all partners have a positive stake in the action and all can share in beneficial outcomes. Across England many local authorities have already adopted this approach. For instance Swindon has as multisectoral weight management strategy bringing together partners from across planning, transport, housing, localities, routes to employment and healthy schools programme who all have a role to play in reducing obesity rates. Haringey has adopted a ‘Health and Wellbeing in All Policies’ approach, with a focus on its Obesity Alliance work, the Council’s regeneration work and supporting their Healthy Schools network to maximise the health impacts of these work programme. And Coventry has taken the big step of becoming a Marmot city. Building on the lessons from the Marmot review they are addressing its 6 policy domains with partners across the council and with the police, CCG, West Midlands Fire Service, Chamber of Commerce and not least the CVS. More information on these examples is available in the materials. The joint PHE/LGA materials were developed through a series of masterclasses run across the country with senior policy professionals, public health teams, chief executives and other senior leaders from local government. They are designed as a set to support the promotion and implementation of a HIAP approach in local government with senior council leaders, health portfolio holders and wider partners and stakeholders. The core of the set of 5 documents in this collection is a set of slides for use in training or explaining HIAP. 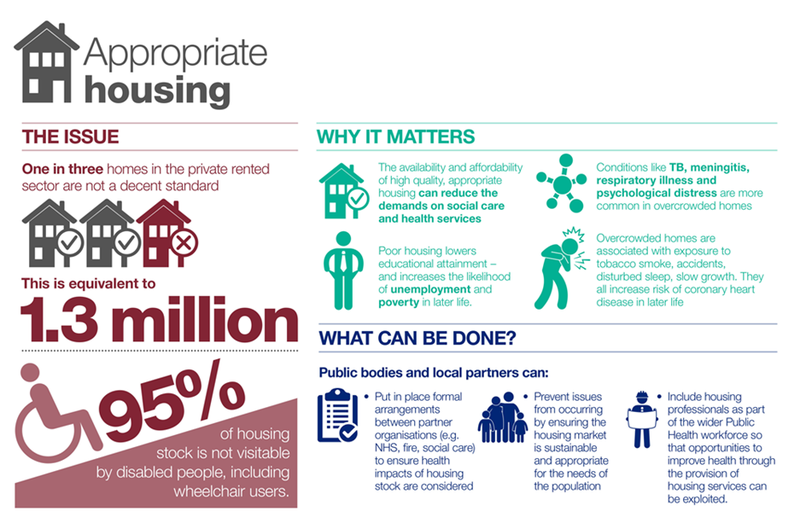 They include infographics that summarise issues and identify actions that could be taken by councils on insecure employment, mental health, obesity, housing, children and public spaces. The infographics are backed up with a set of examples from across England and some international settings. There is also a glossary of terms. For those who wish to gain more in-depth understanding there is detailed background information explaining the history and rationale behind this approach. We hope these resources will be widely used and that we can continue to grow this approach across the country.